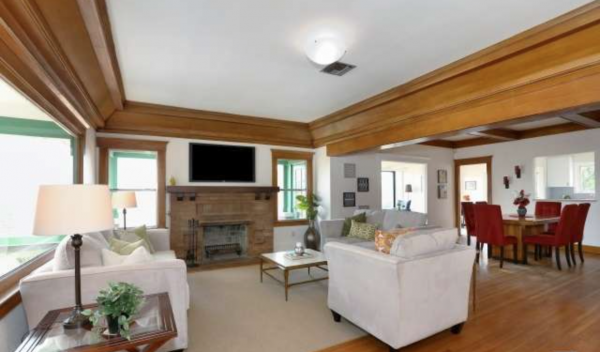 The listing for 1833 Lemoyne Street describes the home as a “Plain Jane” craftsman. I feel that really does a disservice to it. 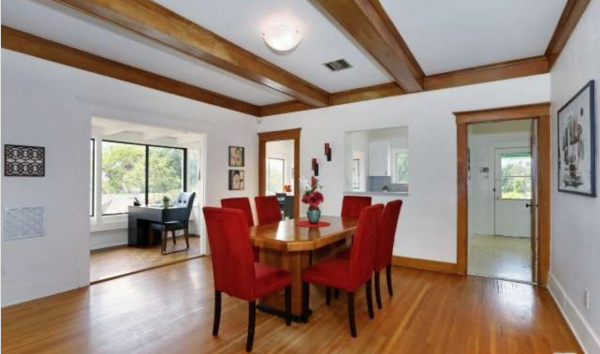 Is it a clean home, untouched by unnecessary modern updates? Absolutely. But, it’s certainly not plain. Think of it as Rachel Leigh Cook from “She’s All That” before the whole makeover. You know you liked her better that way, too. 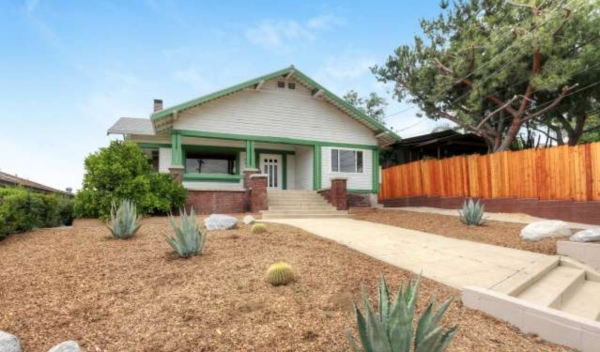 Built in 1913 this 2 bedroom, 1 bathroom 1,300 square foot Craftsman sits on a large 8,200+ square foot lot and is being offered at $785,000. While it may not have the latest in LEED-certified updates or modern amenities, there is a reason this century old home is still standing tall today. Large windows, wood floors, a beautiful fireplace, and stunning crown molding make the living room feel immediately inviting. Combined with the dining room, kitchen, and even a lovely sun room, they all help flood the open living area with light. 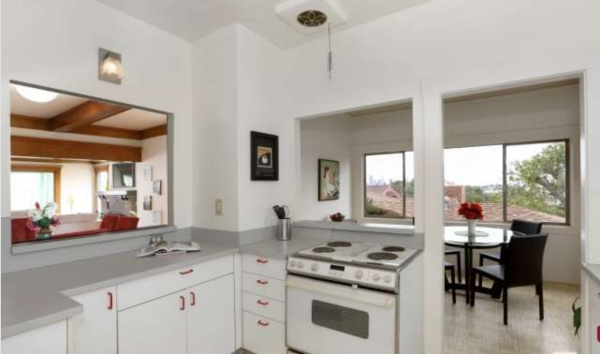 The kitchen and dining area are connected by a large pass-through, that will certainly help get food on plates sooner while keeping conversation going. And, while the kitchen could use some newer appliances and updated floors, I still find the current set-up appealing. The small sun room/office area off the dining room may be my favorite room in the home. 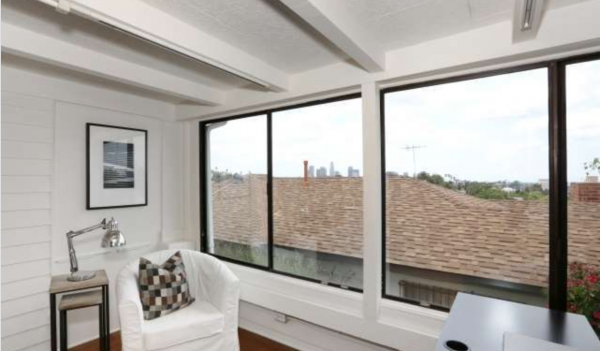 Large windows and parquet floors, along with downtown views, are a winning combination. 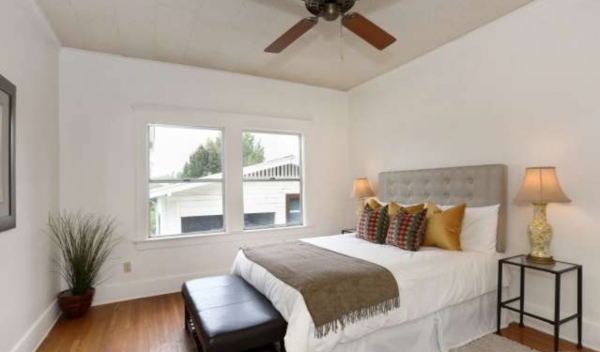 The bedroom is average in size, but I do like the floors and ceiling fan. 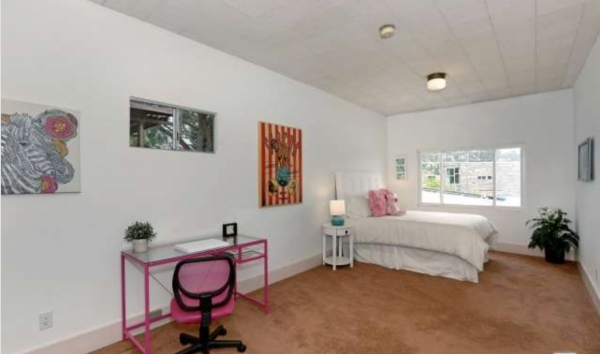 I believe the second bedroom is in the basement and, while it looks like the one area that could use the most updating, it’s certainly a large space with lots of potential. 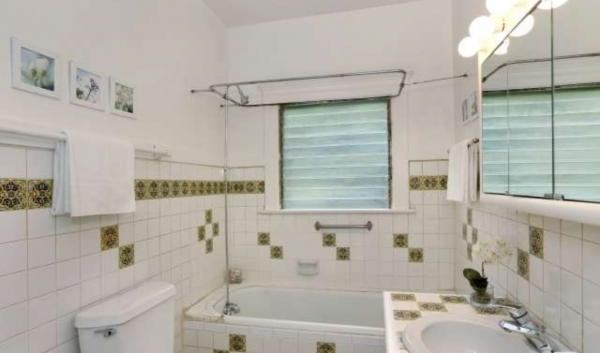 The bathroom is dated, but not completely unappealing. Throw in a tiled-in claw-foot tub (possibly) and a double pedestal sink and–voila, done. As mentioned earlier, this is a large lot. 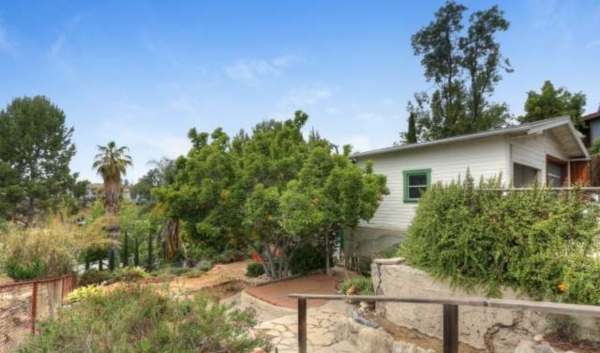 Beyond the generous front yard is a huge terraced backyard with mature trees and an area for al fresco dining. While there is plenty of room available for fixing up, there is still lots to like here as-is. 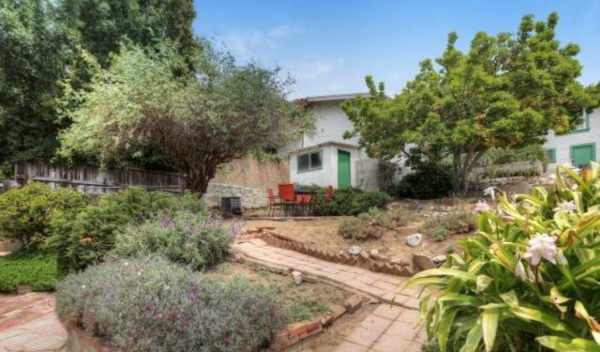 Judith Oroshnik of Berkshire Hathaway Home Services California has the listing.